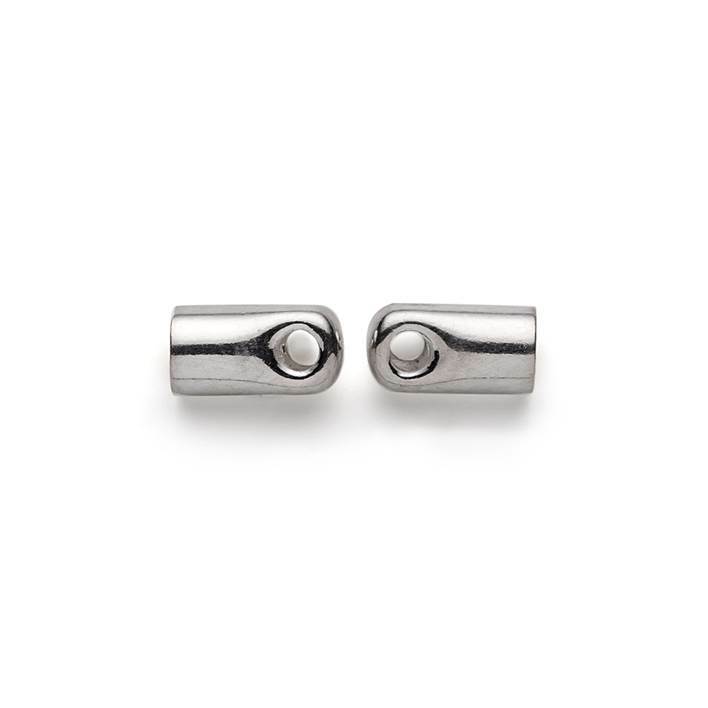 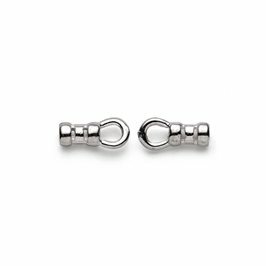 These sterling silver end caps for cord or thong create a neat and stylish finish for necklaces or bracelets made with thicker cotton cord, leather or similar. 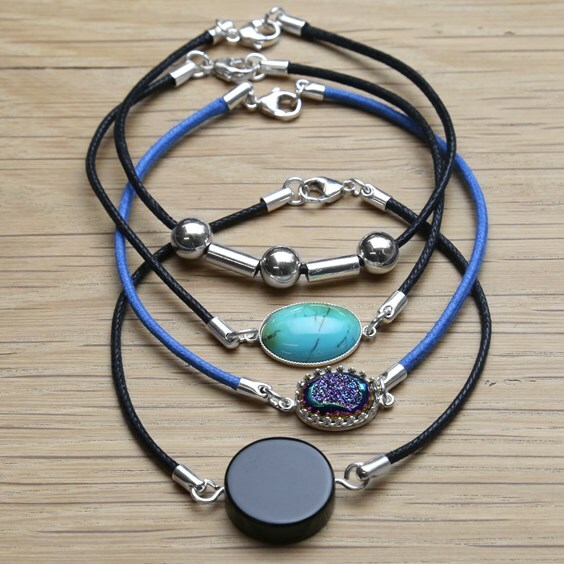 They give a much more professional-looking finish than the traditional spring and box style cord ends and they look particularly good with contemporary jewellery pieces. 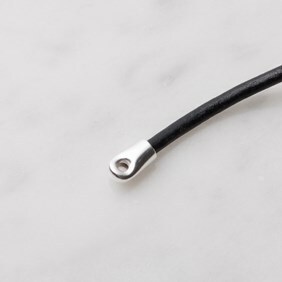 To attach the cords or threads; score the inside of the end cap with a scribe or similar to provide a good key, apply Devcon 5- minute epoxy and insert the cleanly cut end of the cord or leather as deep as possible. We found that placing a piece of wire through the eye in the cap can help prevent the cord from being glued in too deep and blocking the hole - just be careful not to glue the wire in place! Why not try using these with multi strand necklaces? 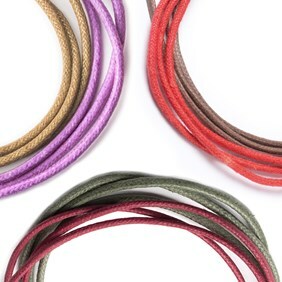 Make sure the ends are braided or knotted tightly together so that they fill the end cap and secure in the same way as described above, using plenty of epoxy glue. These could also be glued or even soldered onto wire or snake chain to provide end findings for attaching clasps and other findings. 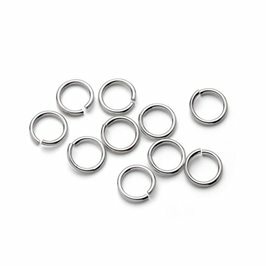 Although most of our jump rings will fit, we find that our 7mm sterling silver jump rings work the best of all with these.